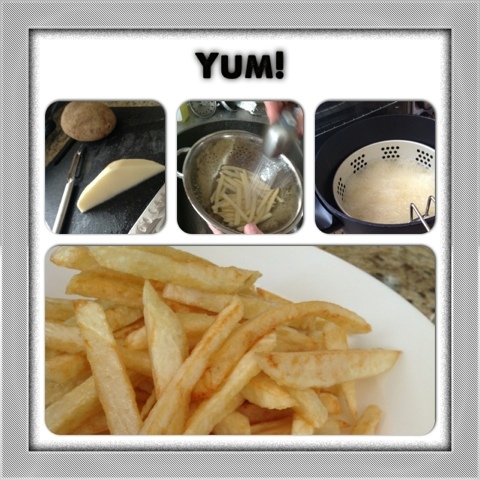 Whether you call them French Fries or Freedom Fries, they're still delicious! 6. When oil in fryer is hot and sizzles when you dip a frie halfway in, it's hot enough. Dump all fries in. 7. Give it about 10 minutes (as soon as the bubbling dies down and fries start to float), and you're done!